Armin van Buuren is the Greatest Man of 2015, according JFK magazine! 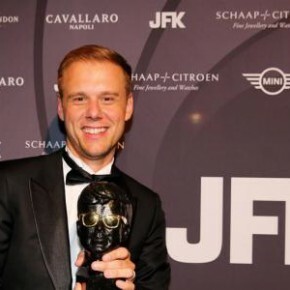 After Humberto Tan, Frank de Boer, André Kuipers, Matthijs van Nieuwkerk, Jeroen Pauw, Peter R. de Vries and Edwin van der Sar, now Armin van Buuren can call himself JFK’s Greatest Man of the year. This prestigious title was awarded for the eight time by JFK.